Touring is a special Parker Bros. card game that uses its own cards to simulate a car race. The game is for two to six players. The rules of play are very similar to that of "melding" games like Mahjong, where the players must draw, play and discard cards, looking to assemble specific combinations of specific cards to win. The object is to use the game's "mile cards" to complete a race of 590 miles. The deck contains 99 cards. The majority of these cards (51 of them) are divided into mileage nominations of 75, 50, 35 or 25 miles. Another 22 cards are either "Go," "Freeway" or "Populated Area" cards. The remaining cards are labeled "Broken Spring," "Stop to Refuel," "Brake Adjustment," "Gasoline," Missed Curve," "Wrecker" or "Burning Oil." Each player is dealt five cards to start the game. Each player on a turn draws one card from the remaining deck and must then either play one card or discard one by placing it face down near the deck. The first card a player can play in front of him must be a "Go" card, then that player can play mile cards or a "Freeway" card. All cards of different denominations are played in columns to the left of the Go card; there is one space for a Freeway card and one space each for 25-, 35-, 50- and 75-mile cards. Player who have played a Go card can now play 25- and 35-mile cards at any time. They must play a Freeway card in order to play 50- or 75-mile cards; they must do this to finish the game. However, a player can also play a "Populated Area" card on top of another player's Freeway, taking away the ability to play 50- or 75-mile cards until another Freeway card is played. Players can also play "delay cards" onto other player's Go cards. "Burning Oil," "Broken Spring" and "Brake Adjustment" cards take away a mileage card of the number they indicate; both these cards are then discarded. The other delay cards block players from playing any mile cards until they can play the card that corrects the delay. "Stop to Refuel" requires a "Gasoline" card to end the delay, and "Missed the Curve" requires a "Wrecker" card. If all cards have been drawn from the deck, it is recreated by taking the discarded cards and all cards played in the player's Go and Freeway columns except the top card on each column. These cards are shuffled to create the new draw deck. 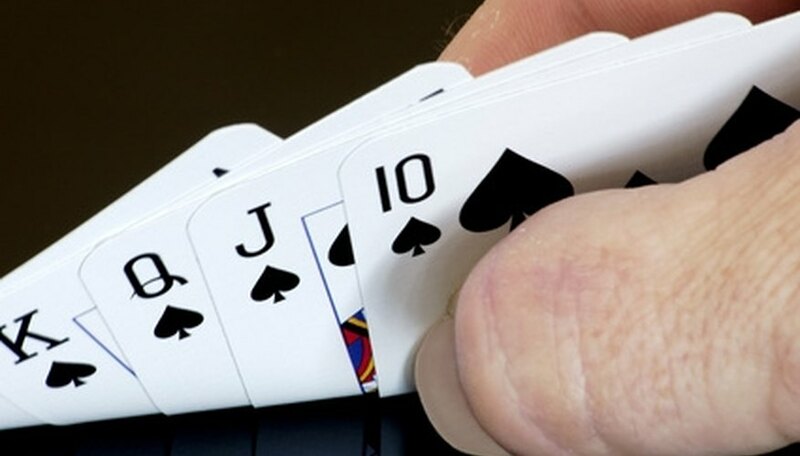 A player must play two 50- and 75-mile cards each, four 35-mile cards and eight 25-mile cards for a combination of 590 miles; the first to do so wins the game. If three or six players are playing, it is recommended to cut all these numbers in half for 295 miles; the players should also remove one of each of the five delay cards from the deck.